Let me tell you the awesome thing about have pre-k, kindergarten, and first grade in the same classroom. You can do literally zero whole group academic instruction. Did I just say that out loud? You picked up on that sarcasm right? Or at least I can't with the group that I have. 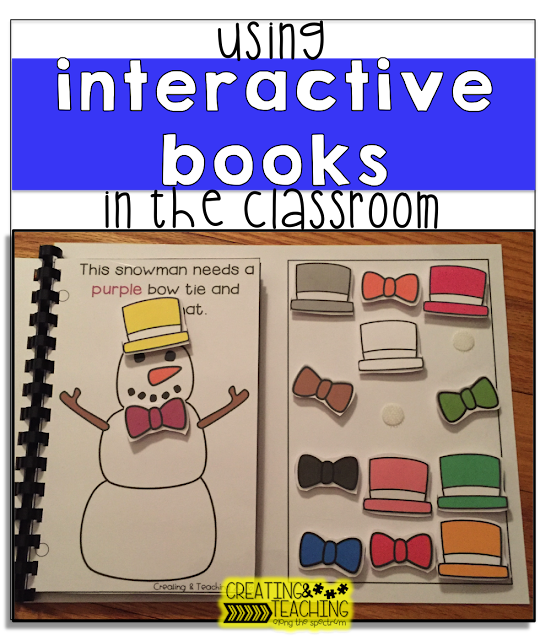 I have used interactive books with my pre-school classes in years past and this year they play a huge roll in helping me differentiate my instruction. I have students that it is not developmentally appropriate for them to sit and listen to a whole group read aloud. They need to be actively engaged in what is happening or else I have 0% of their attention. We differentiate our whole group read loud time by splitting students into 2 groups. Group 1 are 3 students who read an interactive book and group 2 are 4 students who did a whole group read aloud with some of our favorite children's literature. Interactive readers allow us to practice following directions, work on our attention to task, practice wait skills and turn taking. Not to mention whatever skill the book addresses is also being touched on too. They are awesome for my younger/lower group of students. We read 1 interactive book each day. AND they are also great for maintaining mastered skills. It doesn't matter if all the students know their colors already. Practicing color matching 1x/week is a great way to make sure they keep that skill too! 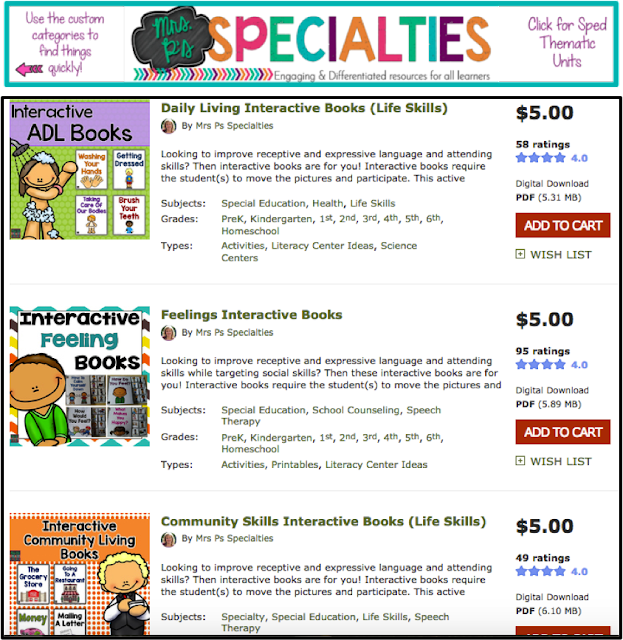 Mrs. P sells her interactive books in bundles for an average of $5. Her books are simple and clean and at a great price. I'm always interested in a bundle since I'm planning 1 book for each school day. 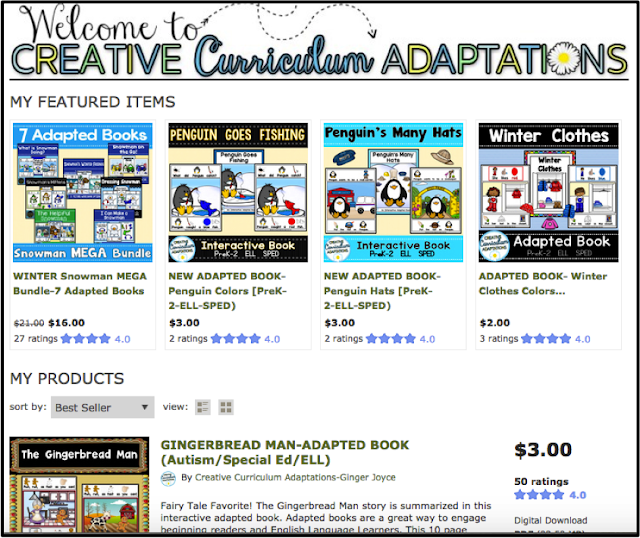 Adventures in the ATC sells their books both separately and in seasonal/common bundles. Her bundles usually include about 5 interactive readers. Again, I love to purchase her bundles since I'm planning lots of books. This lady is awesome. 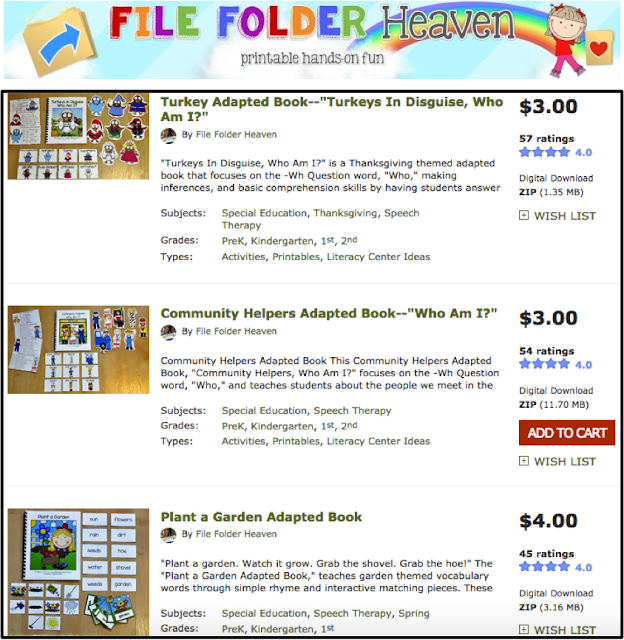 She sells file folders AND adapted books. Two huge resources for differentiating instruction in my classroom. 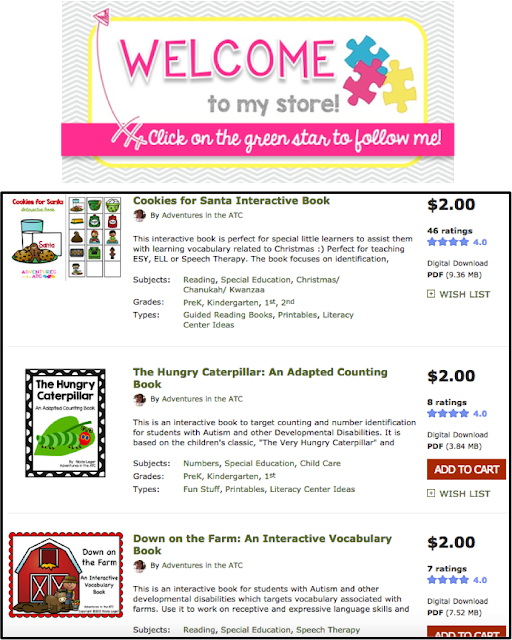 I also love that her adapted books include multiple activities when you purchase the book. Some of them include a version that allows for comprehension questions or a version that includes page matching. She also addresses a variety of skills in her books. You can also count on her for some good freebie books too! Michelle's books are great and offer great variety. Her formatting really stands out to me and I love that she offers different versions for some of her stories. Some have longer, more detailed text and others are short simple versions. Again, excellent for differentiating! My favorite thing about Ginger's adapted books are that the sentences on each page also include visual support cues for reading. Then you also have your interactive piece to apply to each page. And lastly-- myself! Every once in a while I find myself short a few books for the month. If I have the time I will just make them myself. If I don't have the time I know my go to ladies are always putting out new ones so I can usually find a book I don't already have when in a pinch. 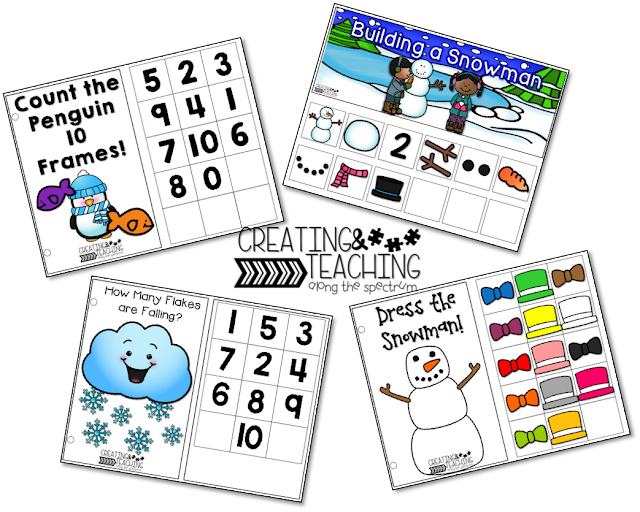 Thanks to my snowy weekend and snow day I was able to make 4 new winter themed books to help get me through the month of January. Do you use interactive books in your classroom? What is your favorite thing about them? Thank you for sharing! 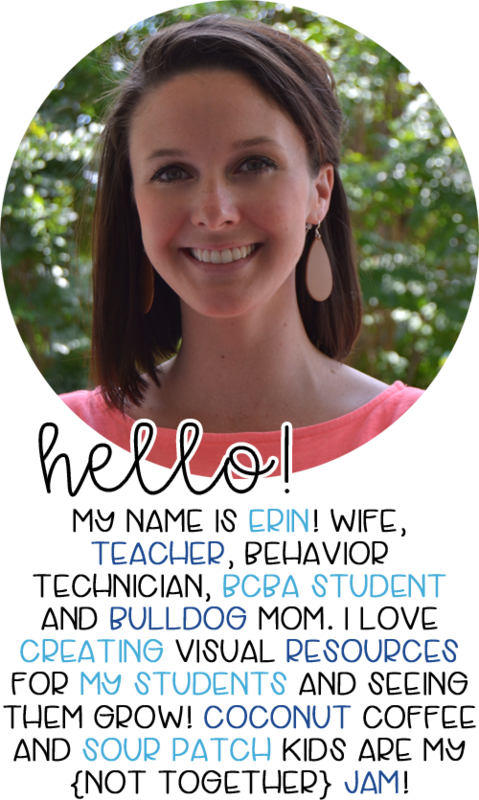 I love this idea - I'm a first-year preschool ESS teacher and your website has been a wonderful resource for me. I'm so glad to hear that April! 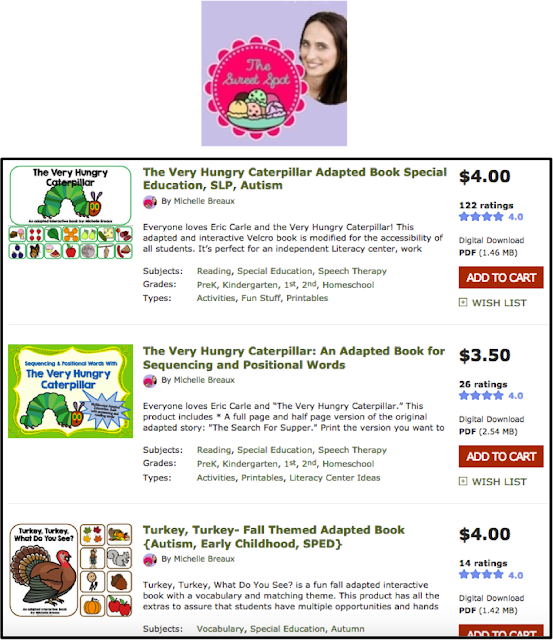 Let me know if you ever have any questions :) These books were amazing for my pre-school classes. The kiddos loved matching the pieces. We would sit on the carpet together and I would just go up to different students to match the piece when it was their turn.